Here's our picks for the top ten most popular or useful embroidery and needlework blogs. Each of these sites features talented designers, tips and techniques. Uber-popular embroidery designer Mary Corbet shares tips, videos, and free patterns on her site. Mary creates gorgeous traditional embroideries and has tutorials for so many stitches. Look to her for classic embroidery techniques! This blog is produced by a group of stitchers rather than a single blogger. There's always something interesting going on! You'll find tutorials along with never-ending embroidery inspiration. Feeling Stitchy is also a great place to learn about and connect with other embroidery enthusiasts. Jenny Hart is an artist best known for her work in embroidery, and is the founder of Sublime Stitching, a pioneering design company of the DIY movement. At the Sublime Stitching blog you can learn about items and sales in their shop, special events, as well as new tips and tutorials. For an archive of even more of Jenny's embroidery work, visit Embroidery as Art. 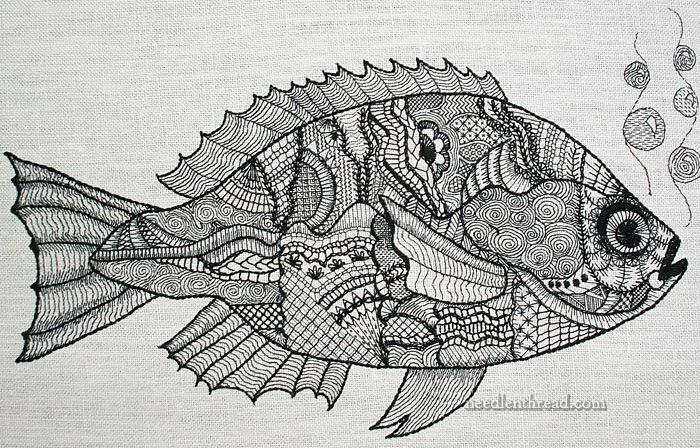 Karen Barbé is an embroidery artist and textile designer from Santiago Chile. She stitches in a variety of embroidery techniques and her work always has a feeling of exploration to it. While she does teach local workshops, Karen's blog is place to be inspired by simple and beautiful stitches. Floresita, the founder of Feeling Stitchy, collects vintage iron-on transfer designs and shares those that are now public domain. She has taken the time to make sure each pattern is clean and crisp, and has them organized by category. This is a great resource to keep bookmarked! If you love using lots of different stitches, Sharon Boggon's blog is the place for you. She teaches embroidery stitches, but she also shows how to use them in stunning pieces and crazy quilting. Sharon is also the creator of Sharon B's Stitch Dictionary. This site, run by U.K. designer Carina Envoldsen-Harris, includes information and patterns featuring surface embroidery stitches and techniques. Carina is known for working with bright colors and bold florals, and she has so much to share. Her previous site, Polka and Bloom is still available for viewing. Kimberly is a pattern designer and avid stitcher. Her designs feel both classic and modern, and on her blog you can see her process, pick up the occasional free pattern, and learn from her journey to master over 100 embroidery stitches! This site is sponsored by Coats & Clark, the maker of many thread types. You'll find ideas, tutorials and a few techniques to try. Do a bit of exploring and you'll find non-embroidery projects that would make a perfect base for adding your own stitches!